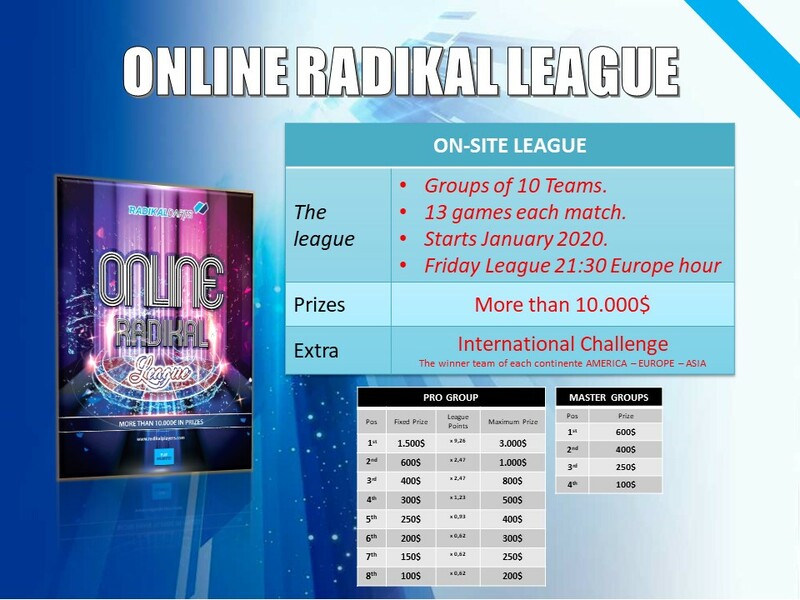 We start the year with strength so we have prepared a new calendar for this season that is loaded with competitions for all types of players, with more than $120,000 in prizes and including 3 Leagues, 5 Championships, 8 Online Tournaments, The Race and all this culminating with the great face-to-face meeting: THE INTERNATIONAL. 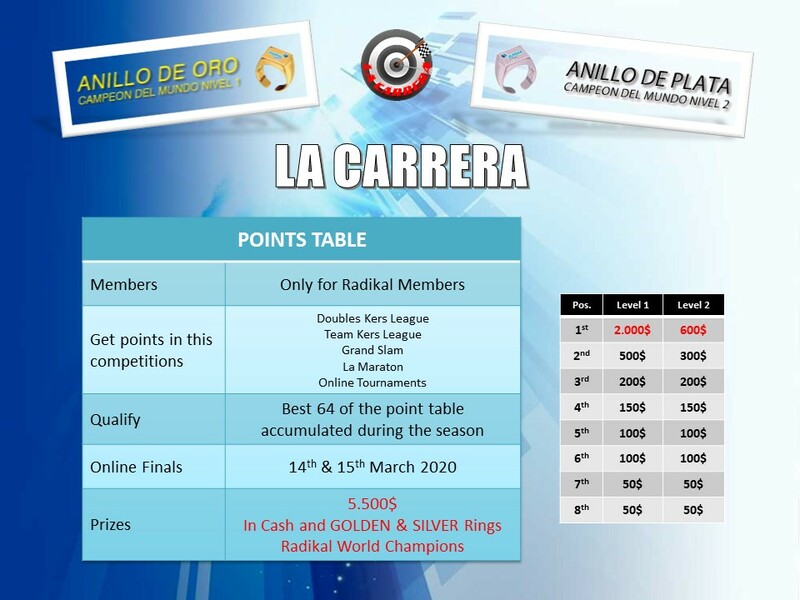 These are the official competitions of Radikal Darts, but there is much more since this will be complemented by the Leagues, Championships and Tournaments that your operators will be generating in the season and that will inform you during the year. 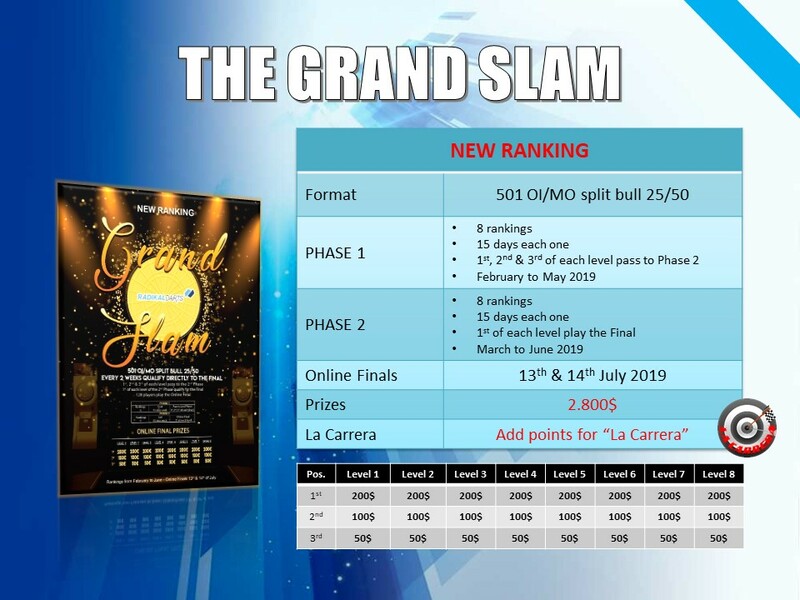 In this way, we will put together the best sports offer on the market with a lot of opportunities to get a lot of prizes.